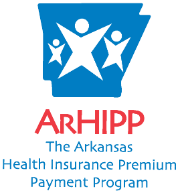 The Arkansas HIPP program is designed to save money for families with high healthcare costs by reimbursing members for the cost of group health insurance provided by an employer or through COBRA. In some cases, members can receive reimbursement for the premium cost of a family health insurance policy. The program also eliminates some out-of-pocket medical expenses for qualifying Medicaid clients.